Que dire! Tout est si splendide! Tout mais vraiment tout! So true that food is a world in itself! There's always more to learn about the world through food. Your filled cupcakes look fantastic, and I love that Amy Sedaris book! Whisky and ricotta in the filling take these over the top Rosa. 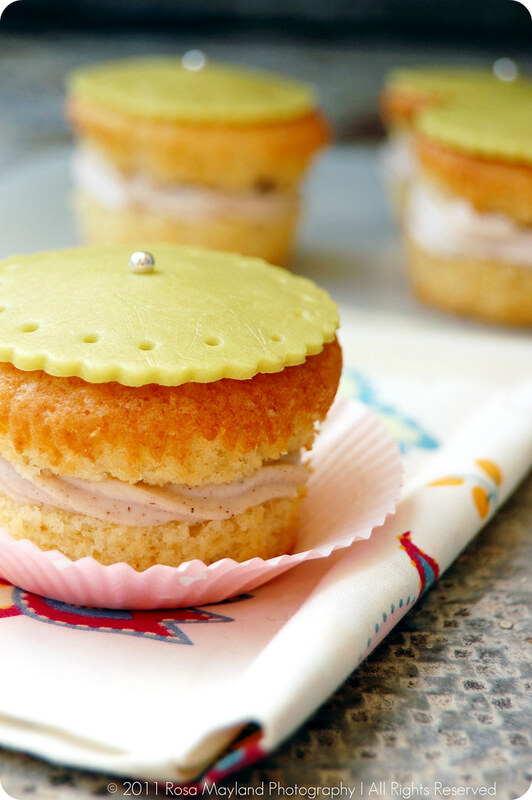 Love the idea of a cassata cupcake! It's a perfect combination, they look gorgeous! I agree with some of your thoughts about travelling and even more with the unique world of food. Your cupcakes are unique and look wonderful! Ils sont vraiment superbes ces cupcakes et quel travail d'écriture Rosa. Un bemol cependant, que je ne connais pas encore l'araignee-maman ! Well done! These cakes look amazing-stunning pictures and lovely flavors. thanks for sharing. very impressive post . carry on.. Your recipes always bring back wonderful memories for me :) My grandmother used to make Cassata cake all the time!! Thanks for the smile. 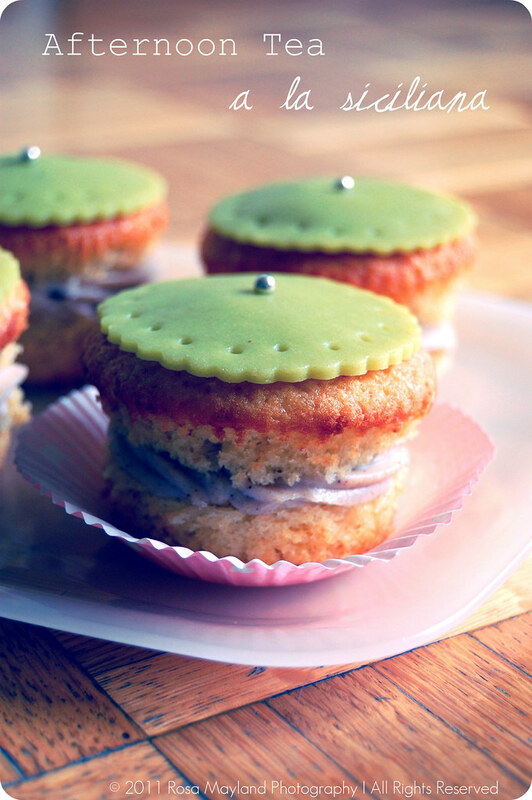 Ils sont vraiment adorables ces petits cupcakes. J'en prendrais bien un cet après-midi avec un thé. Merci Rosa! Beautiful pictures! I love how you did the topping. That is so cute! Ils sont superbes et vraiment gourmands comme tout ! Très jolis cupcakes! J'aime particulièrement la photo style couche de soleil! Lovely Pictures Rosa and as always wonderfully luscious cupcakes!!!!!. Its so true that food always bring back memories, I grew up eating cassata ice cream, intact it was the only ice cream cake i wanted. Beautiful, eloquent post, Rosa. I'm the same way about a vacation spent traveling...I often return home exhausted! (Not to mention that I usually get homesick at some poing while I'm gone, lol...what can I say, I like routine.) Your cupcakes are really lovely! Qu'est-ce qu'ils sont mignons ces cupcakes! J'en prendrais bien un! mmmmm mmmmm mmmm i am drooling like no other. Those cupcakes look so yummy & pretty Rosa..I m so glad that you had a wonderful holiday- beautiful pictures..love the first one a lot! Pretty irresistible little cakes. I'd love to have a bite. A spectacular dessert. I love traveling but don't go often enough. I'll have to borrow your idea and travel through food. A lovely post, Rosa. There's a touch of fragility in both your delicate cupcakes and well spoken words. Cute cuppies, looks delicious and lovely pictures. Great posts and cupcakes also. I concur with some of your thoughts about travelling, love the food part of visiting different areas. Like your music! These are by far the prettiest cupcakes I've ever seen - gorgeous Rosa! Une belle gourmandise pour un délicieux goûter! Ils sont superbes tes cupcakes et joliment présenté ! J'aime beaucoup ces petits cupcakes à l'italienne. C'est très original. 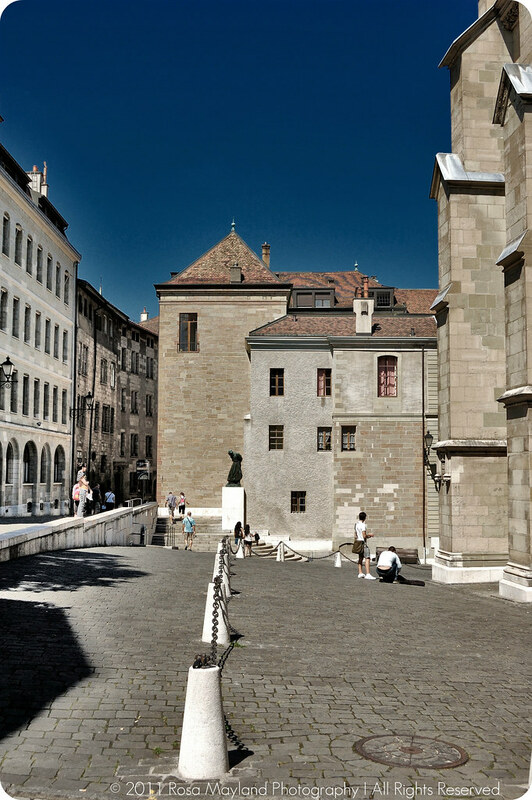 Je suis née à Genève et j'y ai habité quelques années. Nous vivions tout près de l'église russe. My family used to eat cassata cake at every birthday so these are bringing back such good foodie memories! As usual your photos are just : waouh. 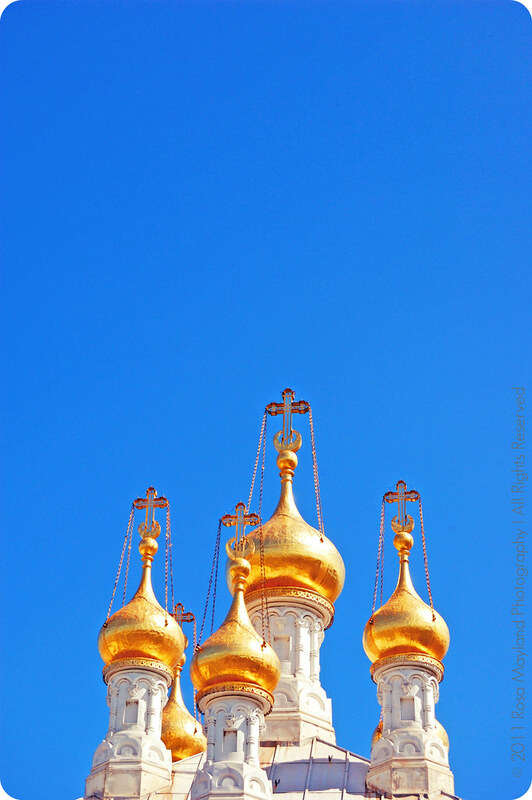 I particularly love the one with the extreme blue sky and russian church roof. And the cupcakes are just delicious. rosa our winter will soon be here too and i am dreading it. as it is we rarely get enough sun and with winter fast approaching the sun is even more limited. hopefully soon we will be back in california with plenty of sun. i get so depressed without it. 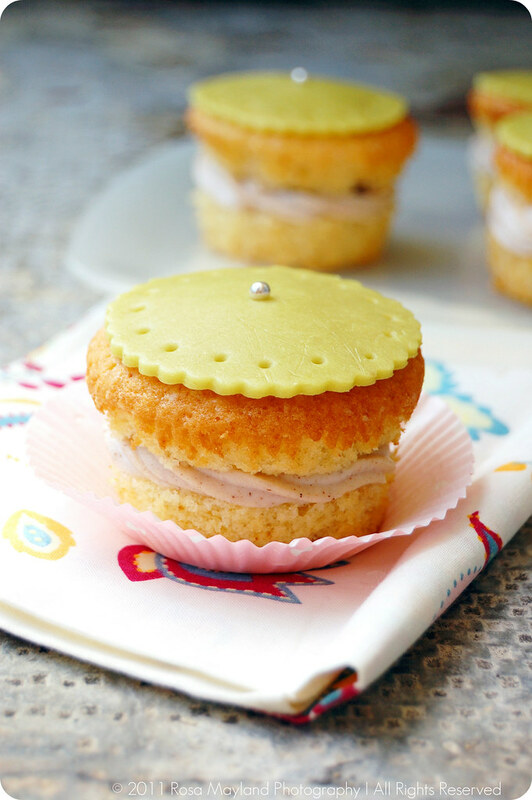 i've always eaten my cucpakes by taking them apart, putting the bottom half on top of the frosting to then have a cupcake sandwich--so I can see why this is a very good recipe. LOL do you like this cookbook? Such unique cupcakes! I would really love to try these! It goes without saying that everything here is beautiful, Rosa. The cupcakes are darling, and your photos are just stunning! I agree with everything you said about travelling... extending that into living abroad. Tu es Hallucinante ma belle Rosa!! J'adore l'idée du massepain pour le décorer, ça remplace la sempiternelle couche de glaçage au beurre ! En tout cas tes cupcakes sont très beaux :) Bonne soirée ! I do agree with you that blogging opens up the window of getting to know other countries' cultures. That is wonderful! And this Sicilian cupcakes are beautiful. The green marzipan topping makes them so outstanding, lovely! These are so beautiful, and I love arm chair traveling with your photos. These have got to be some of the cutest, most delicious cupcakes I've seen! Cheers! Hey Rosa, The cassata cupcakes are looking so Gud and Appetizing… ! A very well made post with beautiful pictures as always. I've bookmarked this special recipe of urs and wud love to give it a shot asap. Have a wonderful week ahead. Thanks & Regards, Sonia !!! I love reading your blog because of the pictures of places alongside the food...Hmm the cassata cupcakes look so delicious! I certainly share your views on travel and vacation and I was going to add more but got totally distracted by your yummy and beautiful cassata cupcakes. What a delicious looking treat. Mesmerizing pics Rosa ~ glad you had a great time! Those cupcakes are insanely gorgeous n to die for delicious!! Oh Rosa...these are gorgeous! I love your flair for creativity here. Holidays are made to be remembered! Mouthwatering cupcakes and beautifully presentated. Lovely photos and the spider is very impressive! beautiful photos of your town. Keep up this wonderful work! Love the cassata cupcakes, esp. the ricotta filling. So smooth and creamy. Totally with you about cooking that opens you up to other cultures....and to understand and enjoy! So true.. cooking for those who love it is a journey to freedom:) Gorgeous cupcakes! and thanks again for the so truly beautiful photographs! What a great post! Y our cupcakes are so clever and the photography truly special. I couldn't agree more with you about traveling. Be adventurous and experiment something new and exciting! Lovely cupcakes too. They look delicious! Totally agree with you. Love your travel pictures. Beautiful cupcakes and I love the idea of afternoon tea! ah, le découpage en massepain, une vraie dentelle, l'art du détail! such beautiful pictures and that cupcakes looks delicious. beautiful colorful presentation! Food and travel, these are two of my favorite things! By far the cutest cupcake I've ever seen ! I like the scalloped icing on top and how you have nicely encased the frosting in the little cake. Perfectly done ! Wow rosa - These are just gorgeous. And the flavors are right up my alley - I remember eating wonderful cassatas in Sicily. I love that your cupcakes are presented in such a unique way, They are so beautiful - love the marzipan disk on top and the frosting/cream in the middle. This is how I want to present my cupcakes from now on :) LOoe your write up, your town and your photos of it! Rosa, I never get tired of your pictures...always so pretty and so interesting. The cupcakes look beautiful and delicious with all the flavors together. Rosa, I keep seeing you all over the place on all of the blogs I read and thinking, 'I really must go and check out her blog...' FINALLY. FINALLY I HAVE. Lord, I have been missing out! You paint pictures beautifully with your words and your photography is simply stunning. Beautiful little cassatas, beautiful words, beautiful blog. I'll be back. Tes photos culinaires sont de plus en plus belles, et les autres... c'est splendide, vraiment! 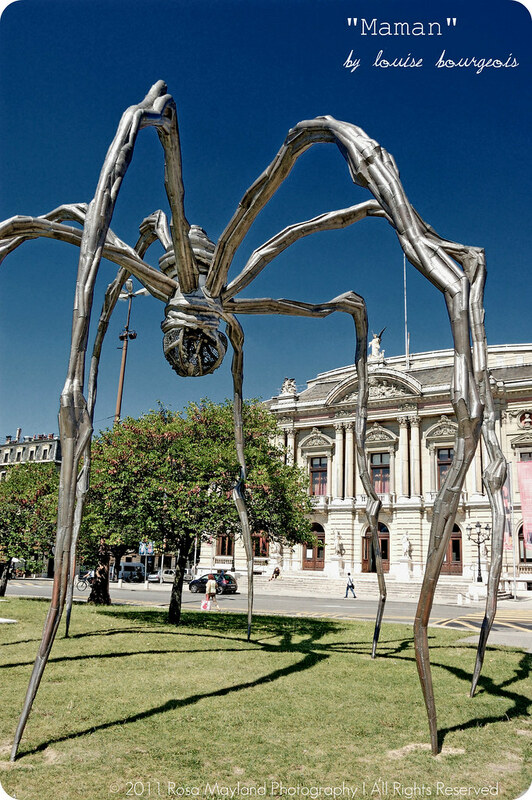 Elle se trouve où cette sculpture de Louise Bourgeois? Il me semble en avoir vu des reproductions ailleurs??? The cupcakes are such beautiful works of art! like still life art, i love your words so inspiring!! Wonderfully said, travel has to lead to discovery and learning about the place you visit. And when at home, food is a great way to escape from the mundane. I love reading about another country's culture and knowing its food makes me feel connected. Cassata is a popular Indian ice-cream flavor and was a special treat when we were kids- cake & ice cream all in one! Making them as cupcakes is ingenious. And I jealously think - I can have an entire cassata to myself! These are so lovely - and I do find huge inspiration from blogs - but it will never be a substitute for getting out into the world. Hey Rosa...Regarding your query on curry leaves chutney powder on Prats Corner...@ Roasa...Im not sure you can try the same with the dried ones..In case you want to experiment..you could just toast the remaining ingredients & then try & dry grind with the curry leaves..Here we have abundant supply of fresh curry leaves, including our own backyard..So we do not get them in their dried form..I have actually never seen how it tastes & smells!! In case you do try it out with dried ones..let me know how it turns out!! 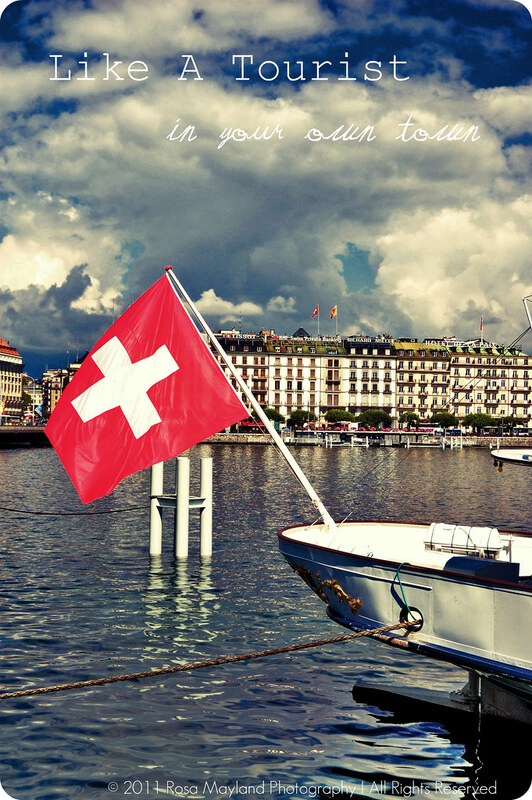 Beautiful photo recap of your holiday! And these cupcakes are amazing...so beautiful and decedent! Ils ont l'air bien moelleux tes muffins! Gorgeous love the fantastic music. the cupcakes looks so gorgeous .. i want to try that one .. nice photos .. thanks for sharing ..
Rosa nice post I like writing, beautiful photos and a perfect cake, you're namesake Rosa and I Rosita, hugs. i love it when orange is used in baked goods--it's so refreshing! beautiful cupcakes, rosa! When travelling, I always like to experience the country that I am visiting and I have always found it annoying that hotels tend to only serve western meals rather than the local cuisine. I don't see the point of traveling just to say I've been there! If I travel I like to have enough time to really get a feel for a place ... and that takes more than a couple of days or weeks! I'm quite happy to stay at or near home. Those cakes look beautiful and I bet they taste yum. Superbe recette, superbes photos ! J'aime trop ! I love Amy Sedaris, tho I've never tried any of her recipes. The ricotta filling sounds like just the thing. gorgeous photos too, I think you live in a particularly picturesque part of the world, although it is surely your photography that makes it so! Lovely cupcakes! I love the marzipan topping-so elegant! Tres beau - tout (les ciels plombes, l'araignee, les petits gateaux si charmants). Adorable cupcakes! These are super cute and sound super tasty, too. Yum!